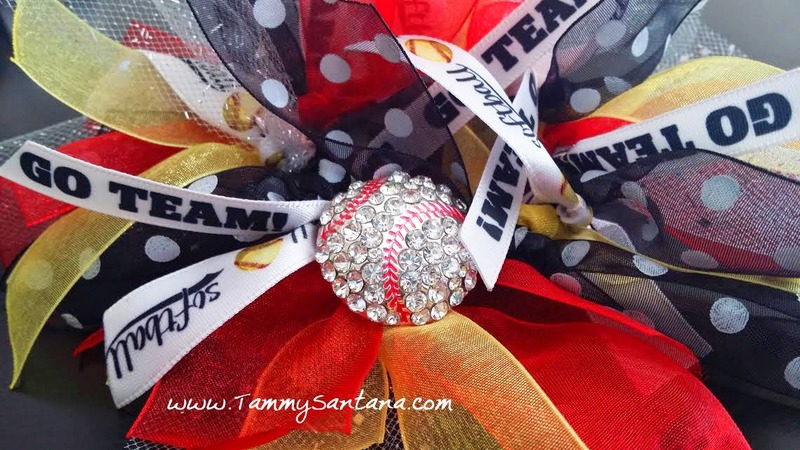 TammySantana.com: DIY Softball Ponytail Holder and GIVEAWAY! 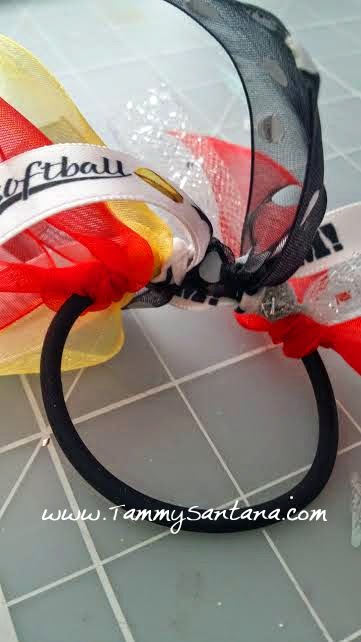 DIY Softball Ponytail Holder and GIVEAWAY! I had so much fun making the last hair accessory that I decided to make another one! These ponytail holders make great team gifts and they are super easy to make. 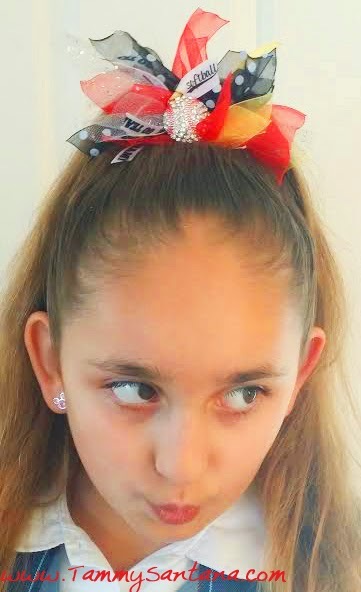 All you need to make one is some of your favorite ribbon, a fire source (to seal the end of the cut ribbon), ponytail band, and a beautiful Rhinestone Softball Slide from The Buckle Boutique. 1. 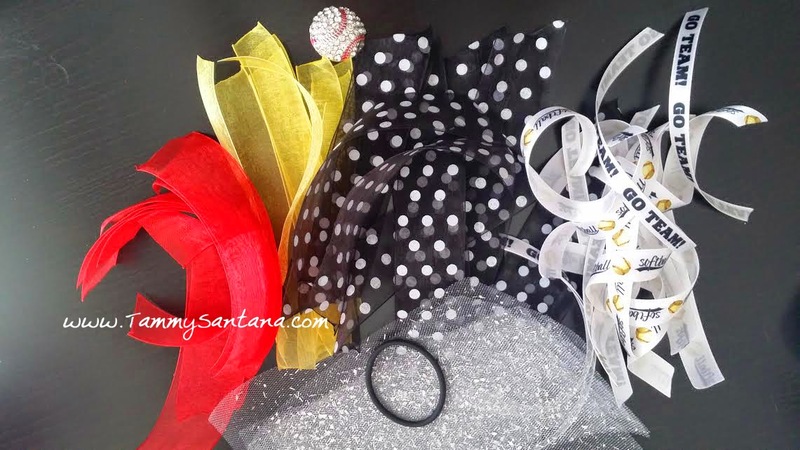 Gather 4 or 5 different types of ribbon including your team colors. I prefer using organza ribbon because I like the sheer quality of it. I also used glitter tulle and softball themed printed satin ribbon. 2. Cut the ribbon into 6" pieces. 3. 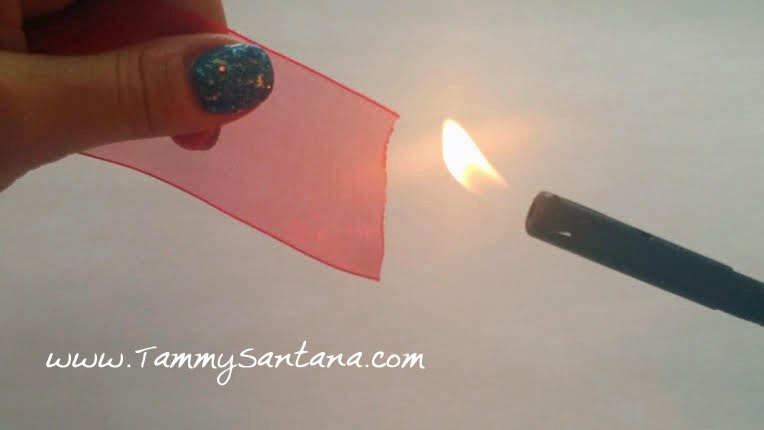 Use a fire source to heat seal the ends of the ribbon being careful NOT to put the fire too close to the ribbon so it catches on fire. 4. Tie each ribbon around the rubber band and slide them close together so you cant see the rubber band between the ribbon unless you stretch it out. 5. Attach your softball slide with a couple of the ribbons making sure to double knot them to secure the softball to the rubber band. GIVEAWAY!!! Leave a comment below and "LIKE" my Facebook Page and you will be entered to win a ponytail holder made with your team colors! I will announce the winner on May 31, 2015. I love this Tammy!!! I may need to make a baseball mom one for me! !